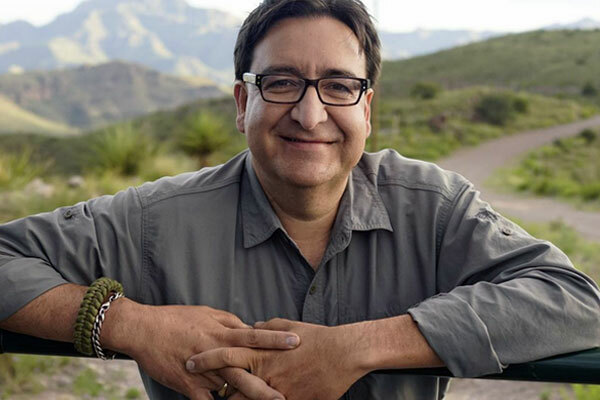 Exhibition curator David Zamora Casas explains the show’s title is a reference to recently discovered skeletal remains that place native human inhabitants in the Americas 10,000 years ago. “This exhibition provides the opportunity to explore vocabulary introduced by the LGBTQ community to identify and claim our preferred pronouns,” he adds. 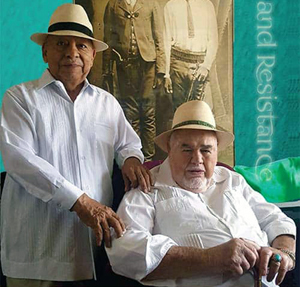 The show also pays tribute to the 50-year union of Dr. Tomás Ybarra-Frausto and his life partner Dudley Brooks. Ybarra-Frausto is known for his series of essays on rasquachismo, a Mexican and Chicano art aesthetic rooted in working class values. Rasquache art uses the most basic, simplest, quickest, and crudest materials to create art. “It’s the view of the underdog, to make something out of nothing, to make the most out of the least,” says Zamora Casas. Dr. Tomás Ybarra-Frausto and Dudley Brooks. For many years, Ybarra-Frausto was the associate director of creativity and culture at the Rockefeller Foundation. In 1998, he received the Joseph Henry Medal for exceptional service to the Smithsonian Institution. The government of Mexico has recognized him with the Order of the Aztec Eagle, the highest award given to foreigners. The work in the show includes includes photography, painting, installation and recorded soundscape. Artists featured in the exhibit are: artists include: miguel angel iii, Bianca Alvarez, Jo Reyes-Boitel, Fadela Castro, Chris Castillo, Agosto Cuellar, Anel Flores, Jamison Holt, in memorium, Joyous Windrider Jiménez, Julian Pablo Ledezma, Joaquin Linn, Anna De Luna, Franco Mondini Ruiz, Los Náhuatlatos, J. Marcos Ortiz, Mary Agnes Rodriguez, Veronica Sandoval, Autumn Summers, Gilberto Tarin, Rita Urquijo-Ruiz and Debora Kuetzpal Vasquez. 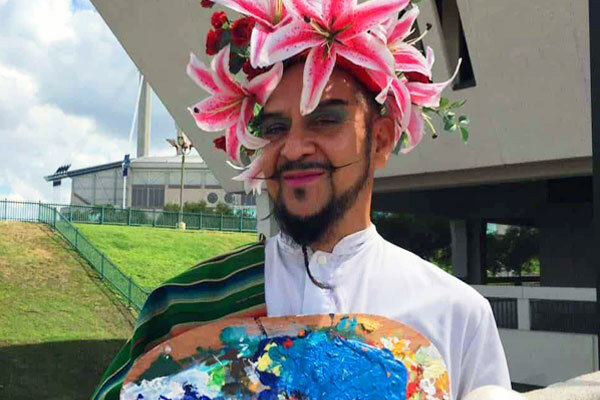 The opening night reception will have performances by the AIDS Lady Anna De Luna, latin-fusion group Los Nahuatlatos, and Rita Urquijo-Ruiz, who will be accompanied by accordionist Joaquin Linn. There will also be information tables from several local LGBT organizations. Two related events are slated. The first, on August 4, is “Geographies of Love,” a panel discussion on mental health strategies, affordable housing for elder LGBTQ, and gays in the military moderated by Tomás Ybarra-Frausto and Dudley Brooks with Julian Pablo Ledezma, Luz Lopez and Tiffany Perez. 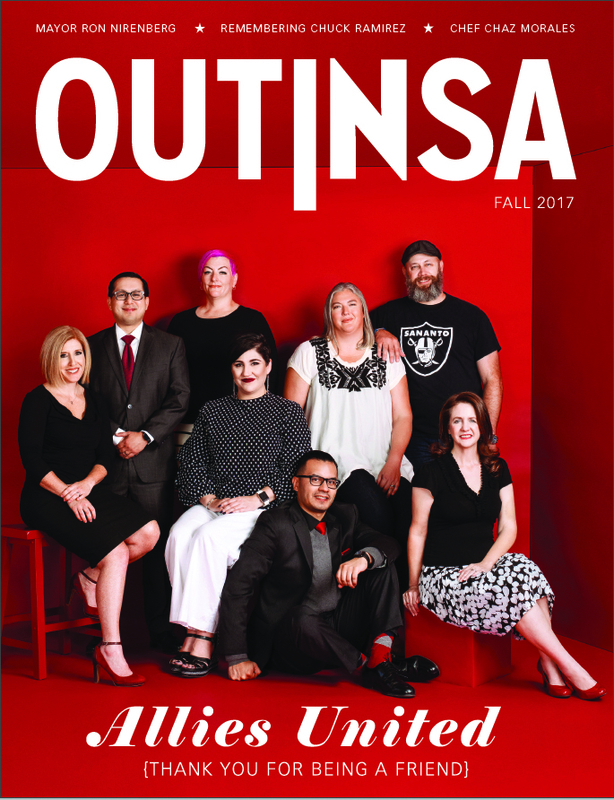 The second, on September 1, is a reception and LGBTQ reading with Jo Reyes-Boitel, Anel Flores, Joyous Windrider Jiménez and Autumn Summers. The exhibition is made possible with support from the City of San Antonio Department of Arts & Culture, the Texas Commission on the Arts and by Friends of Bihl Haus Arts. A percentage of all sales benefit Fiesta Youth. “10,000 Years of Love and Resistance: A Celebration of the Arts and Spiritual Union,” curated by David Zamora Casas. On view from July 21 to August 26, at Bihl Haus Arts, 2803 Fredericksburg Road. Gallery hours are 1 to 4 p.m. Fridays and Saturdays. 210-383-9723, bihlhausarts.org. Opening reception from 6 to 9 p.m. on Saturday, July 21.